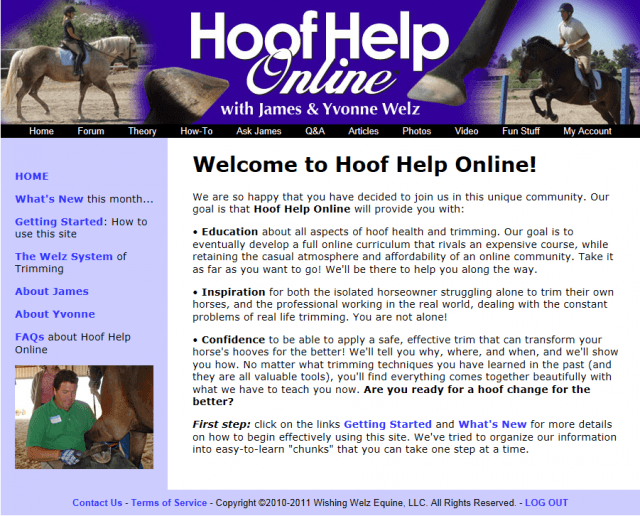 It’s been several years in the making but Hoof Help Online is now live. 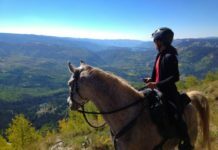 Many people are familiar with The Horse’s Hoof, a quarterly magazine and website that covers all things barefoot. 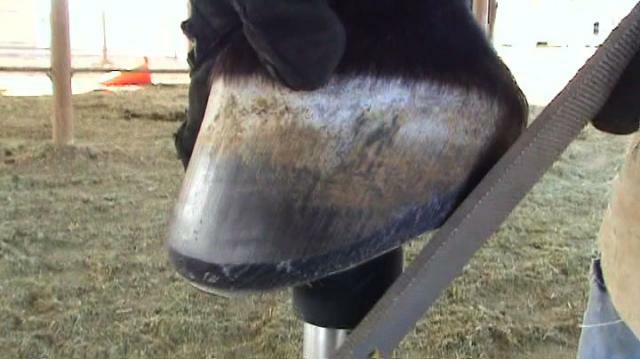 The Horse’s Hoof was created in 2000 by hoof care professional James Welz and his wife Yvonne. The Welzs hope that Hoof Help Online will educate and inspire horse owners looking for advice and assistance with barefoot trimming. What inspired you to create Hoof Help Online? Through our work with The Horse’s Hoof magazine and website, James and I have watched the barefoot movement grow from only a small handful of horse owners into many thousands around the world. As time passed, we received more and more requests for help: photo consultations and trimming advice. We began to realize that we had personally developed a trimming system that, while incorporating elements from the barefoot pioneers, had unique differences that seemed to be keys to success. We realized that before we could offer any advice to trimmers and horse owners, we first had to teach them OUR philosophy, theories and techniques, and that would take a book! One day it suddenly hit me, I realized that we could create an online community. This would be even better than a book because we could personally interact with our members; it could be dynamic and evolve as needed. How long did it take you to develop Hoof Help Online? Well, the idea initially came to me in December 2008. We didn’t realize how complicated it would be, not just from the technical end, but also simply putting our “system” down on paper in a way that was teachable. It ended up taking us about two and a half years to construct the framework as it exists now. We created all the material from scratch, just for this site. Hoof Help Online is starting out with 50 articles, 70 photo pages, 15 presentations and 15 videos. We even have an interactive file: a 3-Dimensional Coffin Bone that the viewer can turn and spin, so that it can be viewed from every direction. 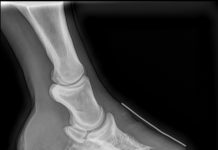 Solar view of a hoof trimmed by James. What can members expect in terms of new material? We are quite ambitious, and have big plans for content! On the first day of each month, we will add a variety of new articles, photos, presentations, videos, Q&A, etc. The forum will provide the opportunity for us to get constant feedback from our members, and allow us to guide them in understanding and applying our trimming system. Teaching is always a two-way street. We welcome people from every background and experience level. Hoof Help Online is here to show you what we do and why, and then encourage you to develop your own thoughts and ideas. 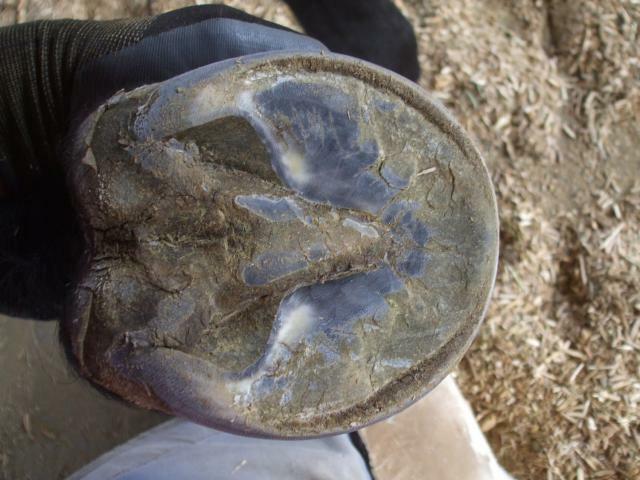 We want hoof care to evolve, for the good of the horse. EasyCare thanks James and Yvonne Welz for the opportunity to view Hoof Help Online. Photos are copyright Wishing Welz Equine, LLC. For more information and to become a member of Hoof Help Online, visit www.hoofhelponline.com.